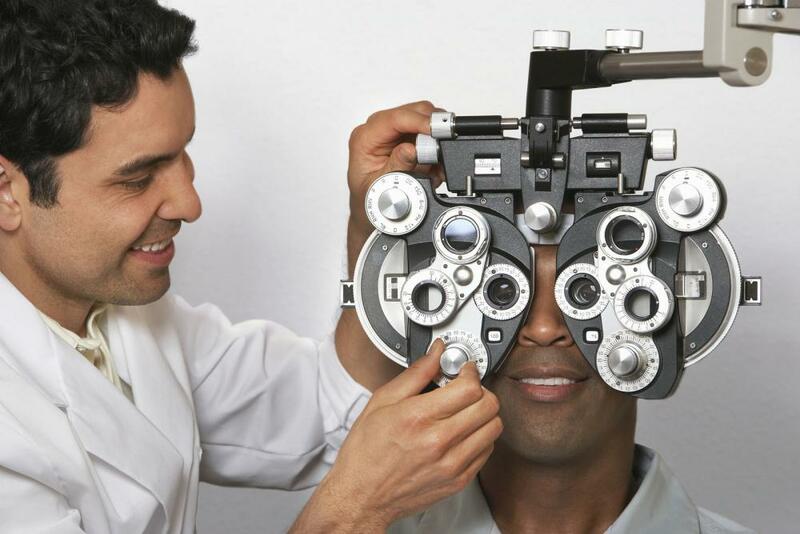 At Austin Vision Center, we strive to fulfill all your vision care needs. Our Austin optometrists, Dr. Mark F. Hutson and Dr. Peter Tran, provide corrective lens evaluations and prescription management services. After completing your comprehensive eye exam and vision evaluation, your eye doctor will discuss the variety of corrective lenses available to you, including contacts. The type of vision correction you choose should best fit your vision needs and lifestyle. Contacts are convenient and make it easier to enjoy certain activities, such as playing active sports and wearing fashion sunglasses. However, if you suffer from dry eye, allergies or recurring eye infections, contact lenses may not be right for you. Contact lens exams in Austin will help determine your eligibility. Prior to prescribing contacts, your eye doctor determines what level of vision correction you require. We evaluate your degree of nearsightedness, farsightedness or astigmatism – all forms of refractive error – by measuring how your eyes focus when a series of different lenses are placed in front of them. Our optometrists use either a phoropter or automated instrument to take these measurements. With the vision evaluation complete, our therapeutic optometrists work with you to determine whether contact lenses or glasses are best suited for your lifestyle. Even if you decide contacts are right for you, it’s wise to also have a spare pair of glasses. Contact lenses are available in either soft or rigid gas permeable materials. Contact lenses must be changed daily, weekly, bi-weekly or monthly, depending on what type of lenses you select. We go over all the specifics with you in our Austin office to help you make the right decision for you. Advances in contact lens technology have created great options for cosmetic and prosthetic lenses. We can custom order contact lenses to camouflage any color variation or irregularity in your irises to produce a natural eye color. Cosmetic lenses, available in both prescriptions and non-prescription form, are also available to transform your eye color for a costume or special event. Bifocal lenses are another form of specialty contacts available for patients experiencing a normal age-related vision condition called presbyopia, which makes it difficult to see things up close. These lenses contain two prescriptions so you can see far away and up close as needed without putting on a pair of reading glasses. “Multifocal” contacts are also available, which have a range of prescriptions to help you see well at different distances. With decades of optometry experience under their belts, Dr. Hutson and Dr. Tran can handle all your vision care needs. If you’re interested in scheduling contact lens exams with an Austin optometrist, please call us at (512) 477-2282 to reach our Central location in Tarrytown Center or for our West location in Four Points Center. You can also contact Austin Vision Center online.